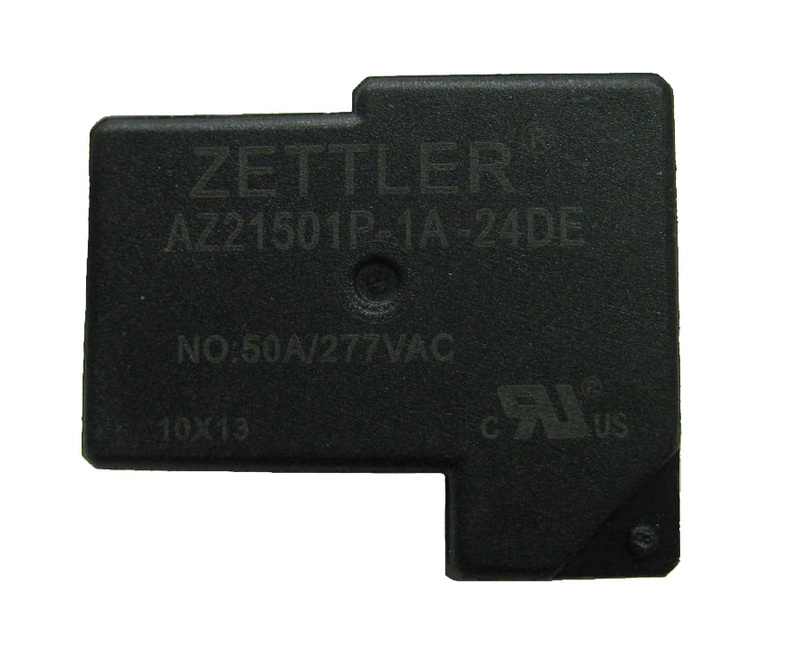 American Zettler releases 30A-50A latching relay in smallest package | Press Releases | American Zettler, Inc.
Aliso Viejo, CA - Decemberr 16th, 2013 -In its most recent effort to remain a leader in latching relays for energy management and lighting controls, American Zettler unveiled a new 30A-50A relay in the smallest package size yet. The AZ21501P utilizes the packaging and footprint from the industry-standard AZ2150 and AZ21501 relays, and it incorporates latching technology to make an ideal relay for small enclosures. The standard, non-latching coil version of this relay consumes nearly 1W of power. That can generate measurable heat, if it is energized for long periods of time. In enclosed spaces, every degree counts! Now, with little more than a software change to the coil circuit, the AZ21501P can turn your standard product into an energy-efficient class leader. Contact our Applications Engineers for more details. Once again, American Zettler is proving to be on the cutting edge of latching relay design.